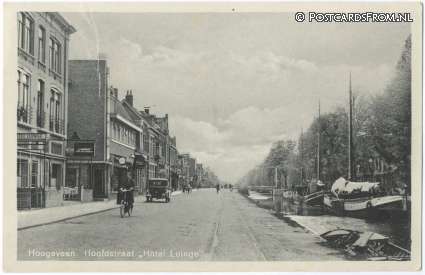 After the second world war, Hoogeveen (current population 54000), a town which was growing rapidly due to being the centre for many industries, became more and more car oriented. Space was made for wide roads on "American" lines. This happened in several places in the Netherlands. 1951: Canal filled in to provide for a future with more motor traffic. 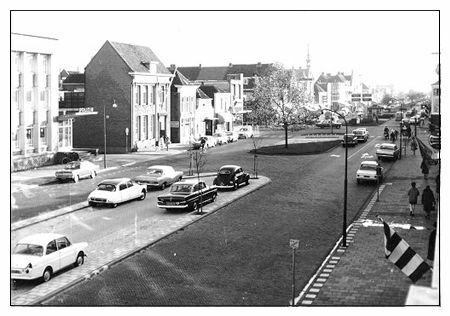 1960: More cars have appeared, but there are still trees in the centre of the road. 1965: The centre has been converted into car parking. 2010: It's no longer all about cars. The water is back. A second revolution has taken place on the streets of the Netherlands. Note: This video has explanatory captions which are not visible on mobile devices. Please view on a computer for the explanation. See update below: While cycling was allowed when this video and original blog post was made, cyclists are now banned at busy times. Not only are people and bikes back, but water has come back to the centre of the road as well in an echo of the situation 60 years ago - though of course it is not navigable as it was back then. This space, like in the centre of Assen, is primarily for pedestrians and cyclists. Motorists are not central as they would be in shared space. The area allows cars for access, but doesn't encourage through journeys. The situation in Hoogeveen is not completely a success. Unfortunately, though the council claims to want to encourage cycling, and though a high proportion of trips to the centre of Hoogeveen occur by bike, Hoogeveen has "snatched defeat from the jaws of victory" by no longer permitting cyclists to use the central shopping street on Thursday, Friday and Saturday. This enormously wide space has been filled with decorative features leaving only a narrow space at either side for walking. Cyclists are required to either take detours around the centre (largely on roads either shared with cars or with inferior cycling infrastructure) or get off and walk through the centre. You can't legally cycle to any point closer to the centre than you can drive. This is not a good way to encourage cycling. Infrastructure which is as accessible as this gives freedom to everyone, including people with disabilities. This recumbent tricycle has electric assist and gives its rider far greater freedom than would be possible if she lived outside of an accessible city. But is she actually allowed to cycle here ? Unsurprisingly, here is a high rate of law breaking by people who cycle within the pedestrian area. Much shopping in Hoogeveen takes place by bike, but Hoogeveen's enormously wide central street doesn't cater well for cycling because a large proportion of the total space has been given over to water features and pavement restaurants leaving relatively narrow spaces at the sides in which conflict occurs. A few km further North, Beilen demonstrates a far better layout. A much narrower street copes well with both cyclists and pedestrians because the space for use by pedestrians is made obviously different from that intended for pedestrians. When people know what they should be doing and where, conflicts are far less common. There are other before and after posts on this blog. Great comparison David. One thing that people seem to misunderstand here in North America is that they seem to think that the Netherlands has *always* been bicycle friendly. They say that North American cities "could never" be like the Netherlands. But this is absurd. 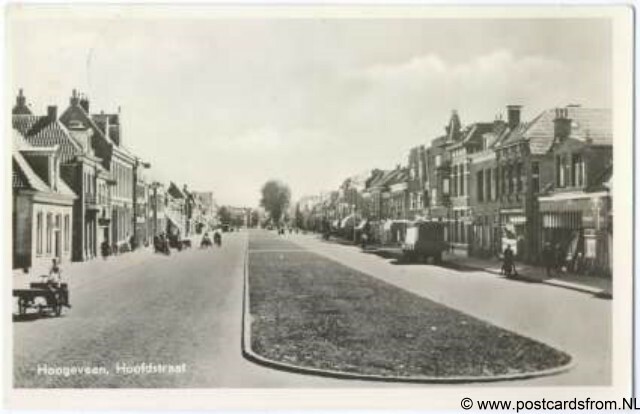 We can do it just as well as the Netherlands - we just need the political willpower, and spend a little bit of money, and motorists will need to sacrifice a little bit of space (as they did in Hoogeveen when they lost some parking spaces). Yeah, definitely agree with James S. This is the kind of stuff that keeps me inspired and motivated in LA, these transformations. However, one thing that may be a problem is bus routes.... Bus routes can be changed of course, especially if it means getting something like you shared with us. This post also reminds me we shouldn't battle for just bike lanes, stuff like this is far more effective in getting folks out of cars. Thanks for the excellent post! James: Motorists lost more than just "a few parking spaces." They lost the whole road. However, it's not really a loss. Like everywhere else in the Netherlands, everyone cycles. What actually happened is that everyone gained a more pleasant cycling and walking environment in the centre of the city. I don't know for certain if bus routes were diverted, though they probably were. However, there are bus stops within a short walk. Older people who have trouble with walking very often find it easier to cycle than to walk, and are quite likely to cycle to the centre in preference to taking a bus. This makes Oxford Street look like the congested, smelly gauntlet that it is. They don't even have ASLs for taxis to use. Can we have something like this? Not a huge fan of unnavigable artificial algae and mosquito breeder strips. Plant some grass and let people sit on it.